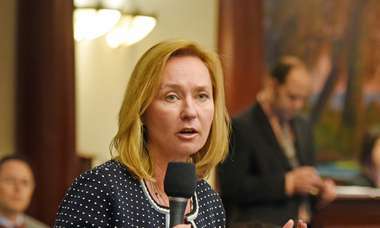 The Florida Department of Corrections said that will help shorthanded prisons keep contraband out. Inmates' family members say they're being punished because DOC can't police its own guards. TALLAHASSEE — Nearly 100 relatives of inmates around the state appeared in Tallahassee Tuesday to protest a new policy that will reduce by half one of the most effective tools the Florida Department of Corrections has to manage the prison population: contact visitations. Under the proposal, FDC will allow inmates to meet with visitors every other weekend instead of every weekend. The agency says staff shortages and a continued increase in illegal drugs, cell phones, weapons and other contraband have forced the change in policy. "In spite of our diligent efforts, we are experiencing a vast increase in the amount of contraband being introduced into correctional facilities statewide, which is exacerbated by current staffing shortages," wrote Ricky Dixon, deputy secretary of institutions in a March 14 memo to all staff and inmates. The goal is to spread out the crowds to allow staff to provide more time and attention to searching visitors to reduce the introduction of contraband, said Michelle Glady, FDC spokesperson. But the family members told a panel of senior prison officials Tuesday that they are being punished for the failure of the agency to police its own staff, whom they believe smuggle in cigarettes, drugs and cell phones to augment their low salaries. "We're not bringing in the contraband. It's them," said Lisa Teets, who came from West Palm Beach to testify. She said she visits her son at Martin Correctional Institution every weekend and holiday and undergoes a pat down every time, including when she goes into and out of the restroom. "My son's coming out within a year. He's not violent, He needs to know that he still matters," she said. "This is my worse nightmare." Kyle Williford of Orlando testified that he was released from Hardee Correctional Institution last week after a three-year sentence served for burglarizing his parents and sister to feed his drug habit. "My experience is the contraband at the Department of Corrections comes from staff members," he said. "The bottom line is that Tallahassee is neglecting not only their inmates but their employees as well. "These men and women have to watch child molesters, rapists, murderers, and they get paid as much as your average Wal-Mart employee," he said. "No one can fault them for supplementing their income," but the policy "shows a gross ignorance." He said he personally bought vodka from corrections officers and "much more is available." "If you understand the volume that drugs are introduced into these institutions, it would blow your mind," Williford said. "Each dorm is essentially a flop house. It's a party house. There are people passed out in their own throw up on a daily basis, nodding out, etc. For that much heroin, cocaine, methamphetamines, NDNA, synthetic marijuana, tobacco and alcohol to be in that institution, it's a physical impossibility that it could come through the visitation parts." Read more: Record number of inmates died in Florida prisons last year. And they died younger than past years. 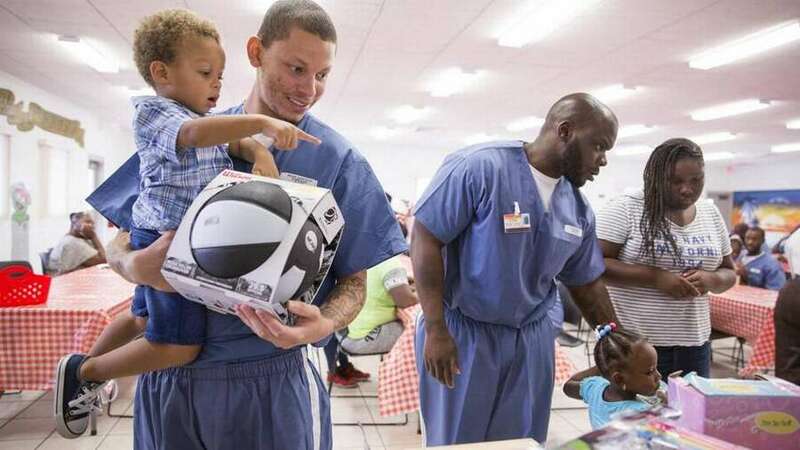 Williford, 30, said he has returned to work as a cook in Orlando and was glad the new rule was not in effect when he was in prison or he may not have seen his father before he died in January "and I could give him a hug." "The contact visitations are a powerful thing and it saves a lot of lives," Williford said. "Say someone bumps into you in the chow hall. Are you going to hit him in the mouth for disrespecting you? No you're not, because your daughter and your wife are coming to see you on Saturday so you swallow your pride and you finish your meal. These are everyday occurrences." Glady, the FDC spokesperson, agreed that "visitation is vitally important to the inmate population and their families," but said that staffing shortages and the inability of the agency to hire enough workers to do proper searches has forced them to seek alternatives. "It's not to place blame on visitors," she said. "The thought process is to look at the entire system and find every way that we can to prevent the contraband from coming in." In addition to reducing contact visits, FDC is introducing the ability of families to pay to use a teleconferencing kiosk at some prisons to talk to inmates long distance. But for some families, that's not enough. "Everybody needs a human touch from someone who loves them," said Angel Garner, who visits a friend and a fiance in prison. "We're dealing with people who can least afford it," said Judy Thompson of Forgotten Majority, a Jacksonville-based inmate advocacy organization. She warned that offenders and activists will continue their protests until the agency reconsiders its policy. "It's not going to stop here," Thompson said. 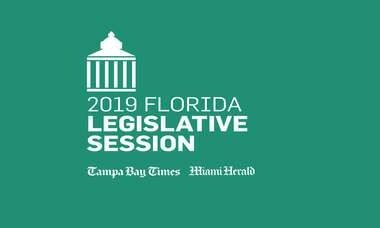 Sign up for the Buzz on Florida Politics email newsletter here. 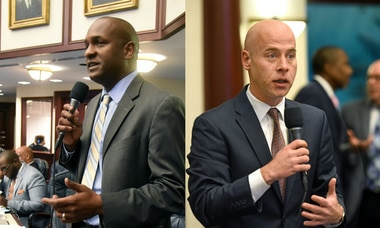 Reps. Bobby DuBose, D-Fort Lauderdale and Evan Jenne, D-Dania Beach will jointly succeed current Leader Kionne McGhee and share leadership responsibilities starting in 2020.